The sky is falling! The sea is boiling! Generations of darkness, studio closures, Final Fantasy turned into a social game, Grand Theft Auto re-imagined as a co-operative corridor shooter where the game is free but every bullet must be purchased with real money! We should have seen the signs when Nintendo released Nintendogs + Cats for 3DS last year because IT LITERALLY MEANS DOGS AND CATS ARE LIVING TOGETHER! There’s no hope left, the video game industry is over. Don’t jump to conclusions everyone. The intrepid analysts at the NPD Group released their monthly report on the US video game market on Thursday and the outlook for the industry-in-flux isn’t pretty. August video game, console, and accessory sales were down a whopping 20 percent year-on-year, plummeting to just under $517 million from over $647 million during the same period in 2011. Even though sequels in best-selling franchises hit the top ten, they fell behind previous entries. Kingdom Hearts 3D: Dream Drop Distance for example moved 180,000 copies across August, well behind the 225,000 copies 2010 PSP game Kingdom Hearts: Birth By Sleep sold in its first month. The same for Transformers: Fall of Cybertron, which sold 105,000 copies in August, well behind its June 2010 precursor War for Cybertron which sold nearly 170,000. August’s woes are nothing new, though; the retail video game industry has been contracting for four years straight. Look at the full year totals: In 2008, the US retail game business generated $22 billion in sales. Then $20 billion in 2009, $18.6 billion in 2010, and $17 billion in 2011. Again: The sky is falling, etc. The sky isn’t really falling though. It’s important to remember how misleading the NPD Group’s data is if looked at as representative of the full industry. Consider this: Up until June of this year, the NPD Group’s retail analysis didn’t incorporate sales from Walmart at all, meaning that its tallies were lacking data from one of the biggest game retailers in the country. Additionally, as Frazier was quick to point out in this month’s report, NPD sales tracking is retail only. It doesn’t account for any digital sales, not from closed networks controlled by platform holders like PSN and XBLA, not PC services like Steam, or mobile services like Apple’s iTunes. Frazier’s report claims that the digital and mobile market generated $391 million on its own. “You can’t talk about the gaming market without taking into consideration the growth in the number of mobile gamers on smartphones and tablets,” she told Market Watch. 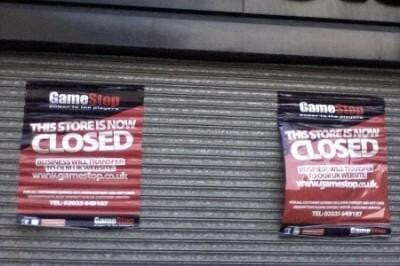 There’s the truth: The sky isn’t falling on the video game industry, it’s falling on video game retail. Game retail may have totaled $17 billion last year, but people actually spent $25 billion on games in 2011 according to the ESA. The money isn’t gone. It’s just moved.